What are the Indications for Trigger Point Injections? Trigger point injections are used in treating pain in the muscles. The injection is made directly into the trigger point location, or muscle. The injection, itself, is made up of a local anesthetic which usually includes one percent or two percent of lidocaine or procaine and sometimes includes corticosteroid as well. Trigger points are usually located in a tight band of skeletal muscle, and can sometimes come in conjunction with musculoskeletal disorders, which affect the muscles, joints, nerves, tendons, and ligaments. 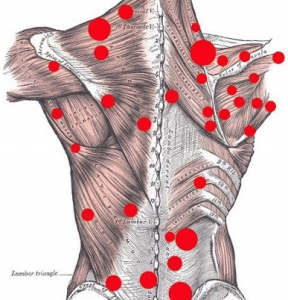 Repetitive trauma to these areas will lead to trigger points forming. Trigger points might also come in the form of joint pain, tension headache, loss of range of motion, or tinnitus. Trigger points that are irritated will cause pain in the affected area or possibly radiating pain in the region. The characteristics of trigger points can be classified as being active or being concealed. An active trigger point will remain painful even when the source of the pain is at rest. For example, if the pain is in the knees, sitting will not give relief; the pain will still be there when resting. An active trigger point will also be tender to the touch, upon examination by a personal injury doctor and a patient will sometimes say the pain feels as though it is spreading to other areas. When the pain is radiating or feels as though it is spreading, this is definitely a sign of an active trigger point. A latent, or concealed trigger point doesn’t always have pain associated with them; however, movement may be restricted in the affected area, as well as weakness of the muscle in the area. During examination, pain might only be felt when pressure is applied to the trigger point. no pain associated with the area otherwise. Tender points are often found in patients with fibromyalgia and shouldn’t be confused with trigger points which can sometimes be found in patients with myofascial pain syndrome. When a patient has been properly diagnosed and it is determined that a painful area is a trigger point, injections can be used for treatment. Trigger point injections are proven to be an effective treatment for putting pain at ease. 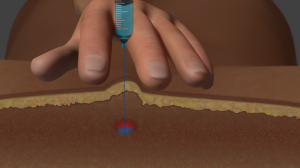 Injections most often provide immediate relief. During the injection procedure, the workers compensation pain doctor will insert a needle directly into the trigger point. The injection will inactivate the trigger point and should alleviate any pain immediately. Circulation and energy should increase in the affected area, a s well as limit the feedback between the trigger point and the nerve. After the injection, some soreness can be expected. Always consult your physician for instructions on activity after having a trigger point injection.